The soon-to-open Blue Mercury makeup and skincare store on Greenwich Avenue in Greenwich, Conn., photographed on Tuesday, May 29, 2018. Luxury cosmetic and beauty brand Bluemercury, which is owned by Macy’s, has plans to open a storefront on Greenwich Avenue. The upcoming shop is slated to open at 254 Greenwich Ave., filling the space formerly occupied by Calypso, which closed in 2017. Window wrappings covering the storefront say it will open this summer. "Bluemercury's mission has always been to bring luxury beauty and skincare to our clients and be the best in the world at giving beauty advice," said Barry Beck, COO and co-founder of Bluemercury. "We have seen tremendous success in the market, and opening in the chic neighborhood of Greenwich felt like a natural next step for us. With our latest Bluemercury store, our 8th in Connecticut, we bring luxury beauty products right to the doorstep of Greenwich." 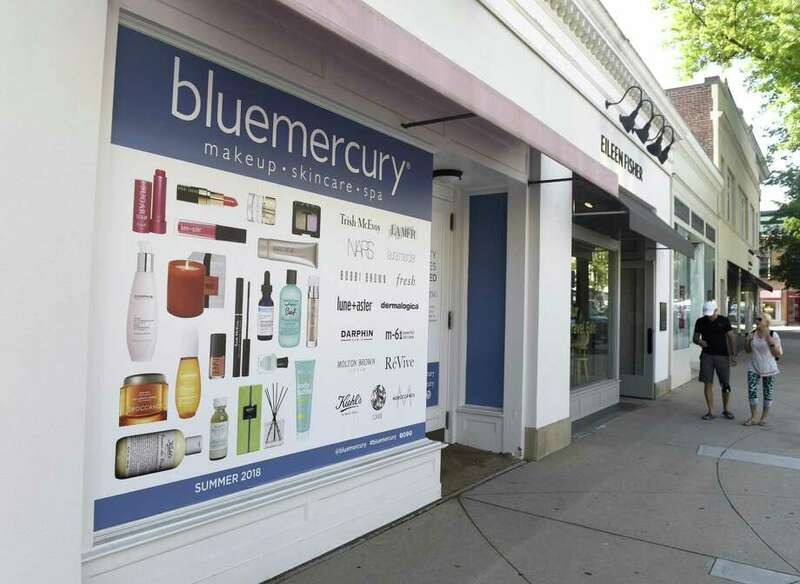 Bluemercury has more than 100 shops around the country and other Connecticut locations include Darien, New Canaan and Westport.